The iPhone is one of the most sought after gadgets in the market today. Every year, Apple releases a new version of the iPhone and every time it will sell like pancakes and millions of Apple fans will line up to be among the first who can own the new version of the smart phone. One of the reasons why Apple is dominating the market share when it comes to smart and android phones aside from its sleek and cool design is the thousands of applications that one can install to extend the functionality of the phone beyond just sending SMS and calling. SEO experts are among one of the group of users who enjoys the benefits of owning an iPhone because of the different applications that are available to help one monitor domain statistics for SEO (Search Engine Optimization). SEO can be a time consuming task that is why SEO experts finds the different SEO apps available in iPhone to be a very helpful tool that can help them monitor and manage their sites efficiently to improve their site’s ranking. And since iPhone is a mobile device, they will be able to monitor stats of their site even if they are on the go using the apps. 1. Domain Tracker. This is a free app that can be downloaded and installed from the App Store. What this app does is it shows Google Page Rank and Alexa rank of different domains that you own and even competitor websites. It can give a history of the ranking of the different domains so you can easily monitor how your domain or your competitors is being viewed and ranked by Google and Alexa. 2. SEM Calculator. Another free application that can be useful is the Elite SEM Calculator by E-String Technologies Inc. Accuracy is one of the factors that can drive the success of an SEO and SEM campaign that is why getting accurate values of different metrics such as CPM, CPC, Impressions and the like is very important. This app makes available different calculators for computing common SEM equations and it even defines each metrics to help SEO strategists and Internet marketers with their decision-making especially when buying online media emails and banners. 3. SEO Search Rankings. This is another free tool that can be use to monitor SEO rankings for unlimited number of keywords. Knowing which keywords drives traffic to a site is very important for SEO as this can help website owners improve their site by using effective keywords commonly used by consumer when doing a search to help site increase its ranking in SERP (Search Engine Results Pages). 4. SEO Automatic Lite. This is a free app that analyzes a site and gives report on the site’s SEO as well as find problems and suggests ways to fix the issues so the site will comply with SEO’s best practices to improve a site’s ranking. 5. 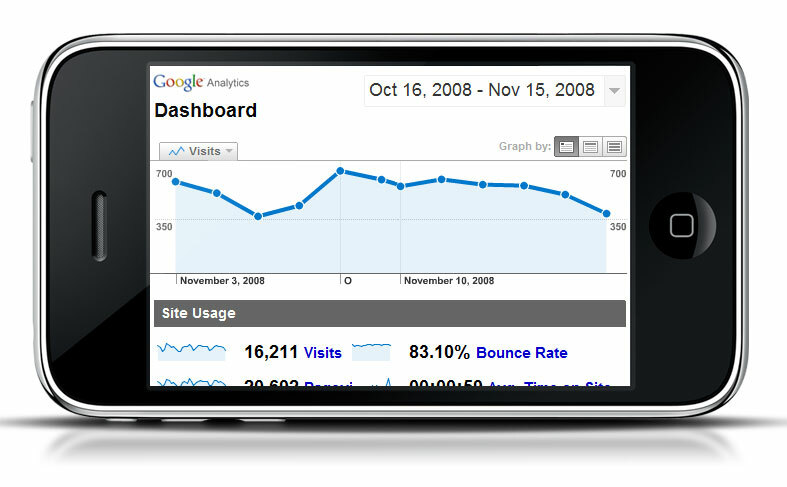 SEO Stats. This app does a quick edit of any website by simply clicking the domain name in the search bar and it will produce a report which includes Google Page Rank, Alexa rank, domain age, number of index pages, number of Yahoo links and more. The iPhone with the help of the various apps mentioned above has made possible the easy access to a website’s stats from anywhere and this is one big factor that can help Internet Marketing specialists and SEO Consultants to stay ahead of their competitors. Author’s Bio: Abie is a technology blogger and freelance article writer for more than 5 years now. Her current project is for the site Pak30.com, which sells Eastpak Delegate.